Google is reportedly working on a new teleconferencing product called Google Meetings, or GMeet. The service was first spotted by Google+ user Florian Kiersch, and while details are rather scarce at this point, he noted that from a technical perspective it appears to be purely based on WebRTC. 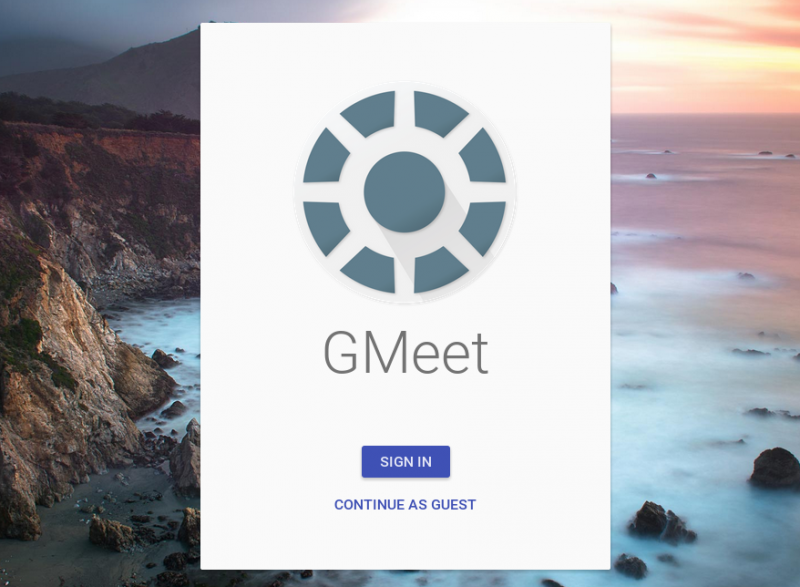 As far as functionality is concerned, GMeet allows for video and audio communication, and adding files to a meeting from either Google Drive or Dropbox. The leaked screenshots are from the web-based service, not a mobile app, and there’s also a Chrome extension that acts as a simple helper. Some sites are reporting the service appears to allow users to schedule and join teleconference calls with one click, rather than requiring users to dial in a string of numbers to enter a room. That’s a fair assumption, although the source makes no mention of this, so take that information as you will. Phandroid says references to GMeet in leaked code snippets date back as far as 2011, and most of those references are for things that are already a part of Hangouts like whiteboards, screen sharing and integration with Google Calendar. This could mean GMeet is is powered by Hangouts with a few tweaks and features for business use. Alas, it’s unclear when or if this will even see the light of day. With Google I/O nearing perhaps we’ll know more soon.